"Of the decision to cast these names as the characters of Alice’s Adventures in Wonderland, Enninful said it reflected the diverse world in which we live. “To see a black Alice today means children of all races can embrace the idea of diversity from a very young age and also acknowledge that beauty comes in all colours,” he said in a release. “Projects like this remarkable Pirelli Calendar demonstrate that there is still hope in what sometimes feels like an increasingly cynical reality”." Ducki Thot as Alice. Photograph by Tim Walker. 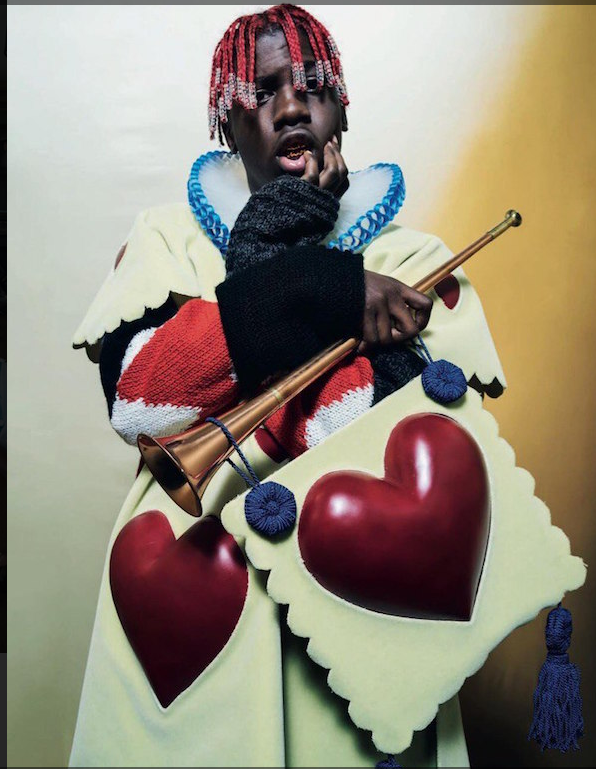 Lil Yachty as The Queen's Guard. Photograph by Tim Walker. RuPaul as The Queen of Hearts and Djimon Hounsou as The King of Hearts. 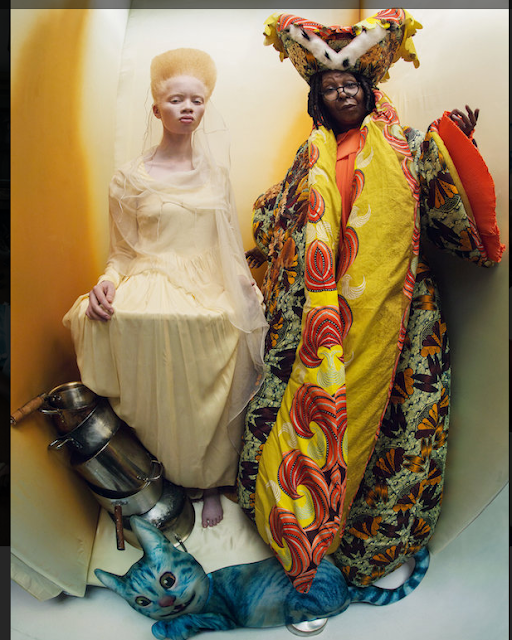 Thando Hopa as The Princess of Hearts and Whoopi Goldberg as The Royal Duchess.